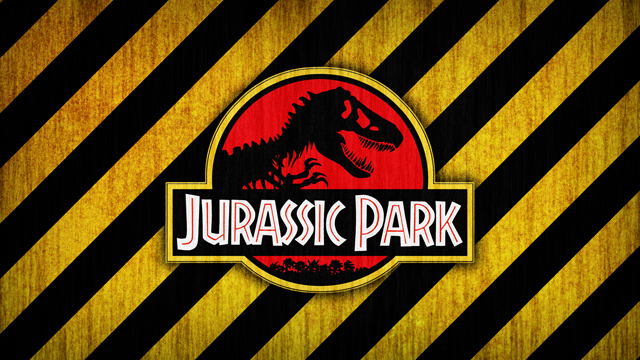 The original Jurassic Park game for the Sega Genesis wasn’t necessarily the worst of the Jurassic Park-themed video games (it’s definitely better than Rampage Edition, also for Genesis, or the sub-par PSOne game), but it wasn’t the best either (I would argue that the Myst-like Sega CD version was the superior JP game). Still, I always loved the Genesis version. 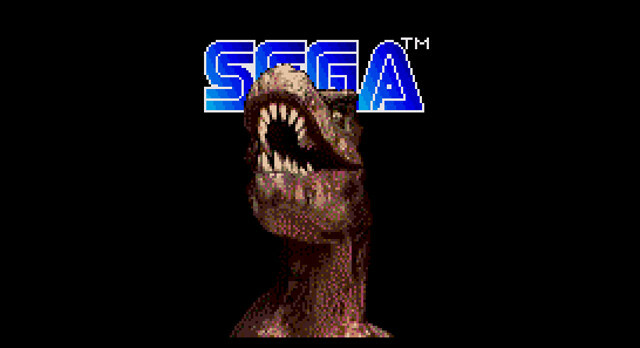 Between the dark and almost Flashback-esque visual aesthetic and some very memorable (though not particularly good) 16-bit music, it was a pretty great time for us young, Genesis-owning Jurassic Park fans. In it, you play as Alan Grant, a famed archaeologist (who suspiciously happens to be the male character with the least amount of onscreen chemistry with Ellie Sattler in the entire film, even though the two are supposedly an item). You navigate a 2D world with some tricky platforming sections, as well as a fair amount of dinosaurs to knock unconscious with your sadly ineffective stun darts. 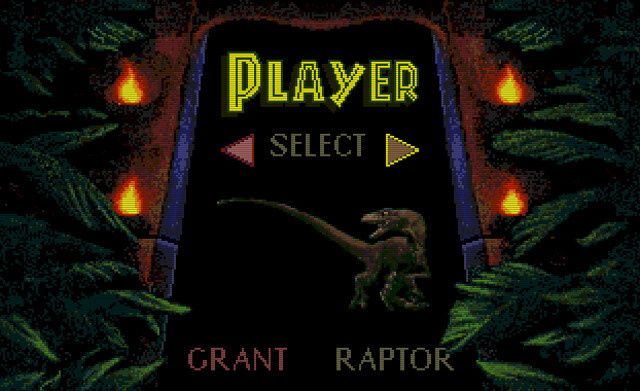 Oh, and you can also play as a velociraptor. As much as I love it, though, I have to admit that it showcases some examples of pretty bad game design. Like the ending section, in which you have to take out two velociraptors with an arsenal of weapons that seemingly does nothing to them. As a kid, I spent hours and hours pouring everything I had into those bastards, and I just couldn’t take them down. I wondered if there was another way, so I tried everything: dodging them, climbing on the dino skeletons hanging above them, running to the edge of the screen, etc. But nothing worked. Now, keep in mind that this game came out in the 1990s, an era in which looking up game walkthroughs on the Internet wasn’t really a viable option. I mean, we had the Internet back then, but it was pretty much limited to dial-up. And, if you had parents like mine who were too cheap to actually spring for it, you’d have to go to the library to use it, where you’d spend hours waiting in line behind sweaty fat dudes and have your browsing carefully monitored by cantankerous librarians. So when you were stuck on a particularly difficult part of a video game, you were just plain stuck. But one day, I was messing around with my fire grenades in the game, and I accidentally hit the bases of one of the skeletons in that final boss room. I noticed that some bones were falling off. So I took out my rockets and fired them at the skeleton’s base. The thing collapsed and impaled the velociraptors. End of story. I had finally finished the game. I believe strongly that when building a puzzle into a game, developers need to set up clues for players as to how to progress. Blowing up the skeletons was a thing I never would have thought of without several hours of trial and error. There was absolutely no precedence set that would guide a player toward blowing things up (especially things that were basically just gigantic boulders) as a viable option for clearing a boss room. It was just straight-up a badly designed, pointlessly bewildering game puzzle. But finally beating that thing, after all the absurd amounts of effort I’d put into it, felt amazing. Seriously, it was a rush. It was something that had baffled me for weeks, and the fact that I figured it out without any sort of guide (even if by a random accident) felt like an accomplishment. Now, I have no problem looking up walkthroughs these days. In fact, I don’t think I’d have beaten a single Zelda game without an online guide. Still, there’s a part of me that misses that sense of achievement that came with having to wade through badly designed gameplay. Yes, I kind of miss some of the painfully rough edges that have since been refined out of blockbuster games. Is that weird?